Drop by Th’YARC and discover the artwork on display in our lobby gallery! We feature artists — both amateur and professional — from Yarmouth, Nova Scotia, and beyond. The artwork will be viewable to art lovers during regular box office hours and to our numerous audience members during performances at night. Tootsie was born in Yarmouth, N.S. She began painting in 1989 to bring her appreciation for oil, acrylic and watercolour to life on canvas. The source of Tootsie’s inspiration was the theme of domesticity and it is this domestic pictorial world which forms the core of the present exhibition. Tootsie’s exhibit “THERE’S NO PLACE LIKE HOME” brings this to life on canvas. Our every day home surroundings, regardless of style – traditional country home, city apartment or contemporary home, each room has its distinctive flavour and each wall translates immediately into a pictorial surface. Upon entering a home, one has the sense of having walked into a still life painting. The simple pleasures, including special accents, keepsakes and treasured memories from past and present experiences are an important part of our daily surroundings. The kitchen becomes an informal room for gatherings. A vase of flowers from the garden brings the freshness of the outdoors into the light of the room. Every room can tell a story. Enjoy the art exhibit and Tootsie hopes one will take the time to enjoy the charm of home. Tootsie paints from her home studio gallery where her work may be viewed by chance or by appointment. Porter studied at the Nova Scotia College of Art and Design from 1966-1970. He has participated in group exhibitions across Canada and Europe, and in numerous solo exhibitions in Nova Scotia. He was the subject of a National Film Board documentary in 1976. In 1981, a documentary of his work was produced on CBC television. Awards include: 1996-1998 Art Foundation Award New York Study Program; 1971, 1974, 1983 Canada Council. has spent most of her life involved in the art field. She worked mainly the first 17 years in ceramic sculpture, then changing to painting after 1985. She has showed her work, sculptures and paintings in numerous galleries and shows in Ottawa and Kingston, Ontario and in Nova Scotia in Halifax, Wolfville and Yarmouth over the last 37 years. Her influences are from nature, environmental, living or human. draws inspiration from the people and terrain of Nova Scotia. He works mainly in oils and photography. 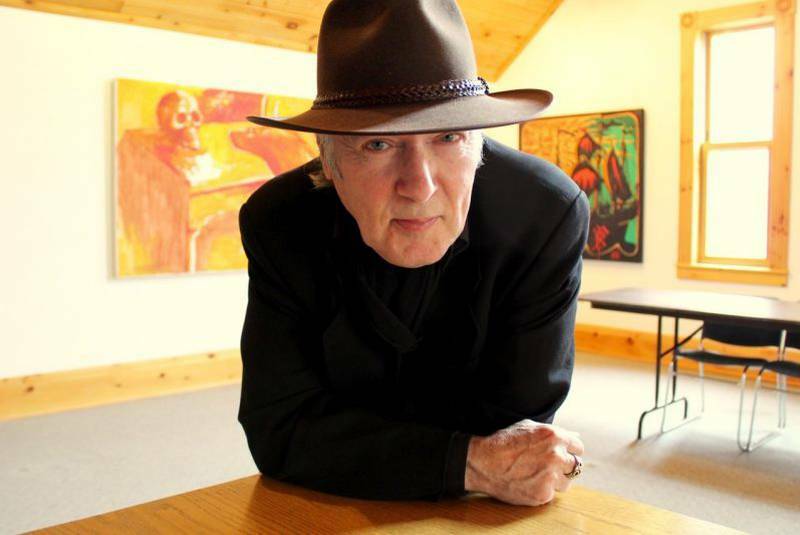 His paintings have been exhibited in Ottawa and Kingston, Ontario and Halifax, Wolfville and Yarmouth Nova Scotia over the last 37 years. In 1989 the Nova Scotia Art Bank purchased one of his paintings. 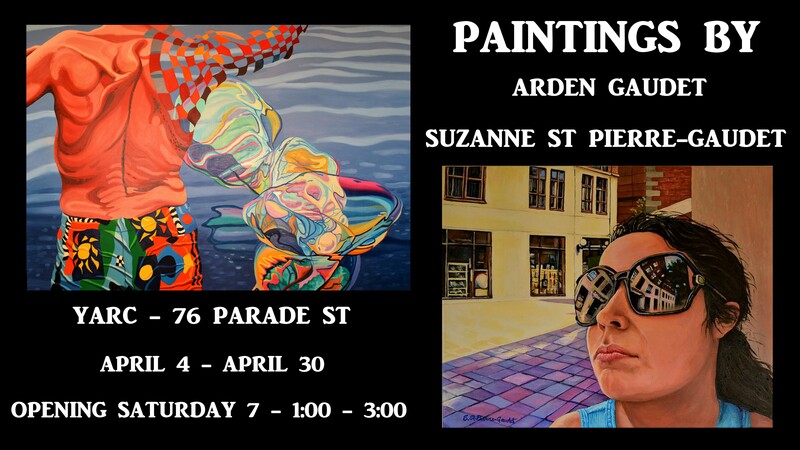 Suzanne and Arden exhibited their work in a joint show at Th’YARC for the month of April 2018. An opening reception is scheduled for April 7th, 1 – 3 pm. Everyone is welcome. An exhibit of recent paintings by Hugh Eamon will be shown at Th’YARC from March 3rd to 31st. 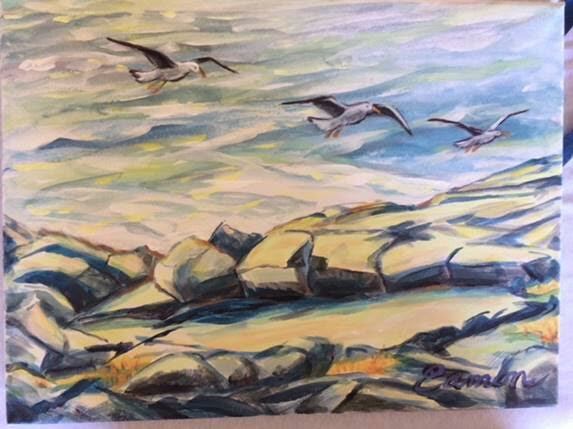 An opening reception, hosted by the Yarmouth Art Society, will be held Saturday, March 3rd, from 2:00 p.m. until 4:00 p.m.
A native of Brockville, Ontario, and a graduate of the Ontario College of Art, Hugh has made his home in Yarmouth for nearly 50 years, since the summer of 1969. Hugh has been an active player in the arts community, and has made significant contributions to the practice and development of the arts here and throughout the province. 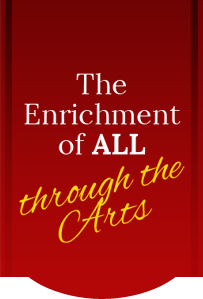 He is known as a teacher, a painter, and an advocate for the arts. He has been active in the Yarmouth Art Society since first moving to Yarmouth and is a Life Member. He was a founding member of Visual Arts Nova Scotia (VANS), giving a unifying voice for professional artists. He was also the first project manager for the building that became Th’YARC, and can tell many stories of those early years! With fellow artist Alex Gigeroff, Hugh created a number of public murals in downtown Yarmouth. The largest and best known is the colorful triptych in Alma Square, with its assembly of familiar Yarmouthians mixed with historic figures and the purely fanciful. Recently Hugh has been working with Mark Connell to organize and present the sketchbooks of Helen Weld, and to edit letters of Lucy Jarvis for publication. Hugh’s subjects are often the rugged landscapes and seascapes of Yarmouth county, painted with his distinctive palette. His work is in collections throughout Canada, the United States, and Germany. The public is invited to meet the artist at the opening reception on March 3rd to talk about art and to see his new work. Light refreshments will be served.